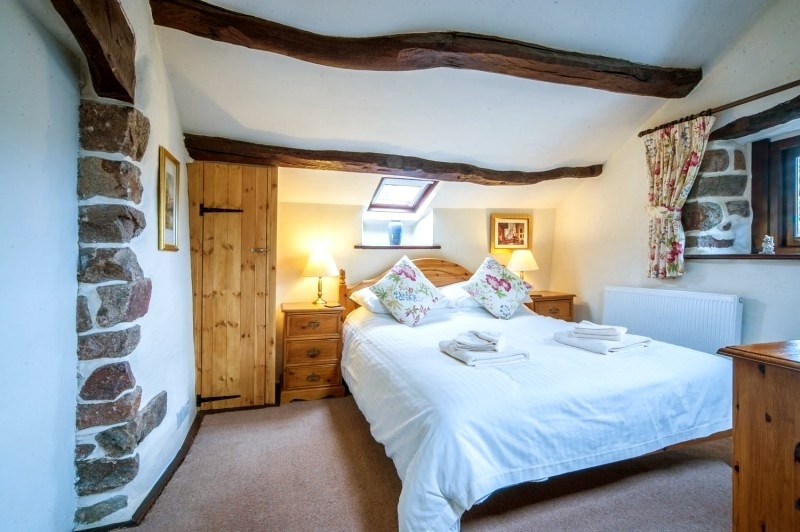 Wrynose Cottage, named after the legendary Lake District mountain pass, has one of the most romantic bedrooms of all the cottages at Bridge End Farm and possibly the biggest bathroom with a large walk in shower and roll top slipper bath. Lie in bed looking up at the Milky Way through the velux window or soak off the aches of a long day on the fells in the stylish bath. A gorgeous and very clever brand new kitchen has been installed with lots of space-saving ideas incorporated to offer maximum space and considerably more than the old kitchen. Add improved natural light from the new windows and better kitchen lights and the difference is stunning. Honey Oak Karndean flooring and a brand new Italian leather sofa - so comfortable that you won’t want to get out of it - have been added too. It’s a lovely romantic cottage for couples. The bedroom is a good size so there is space for a fold away bed or cot or both for couples with young children.